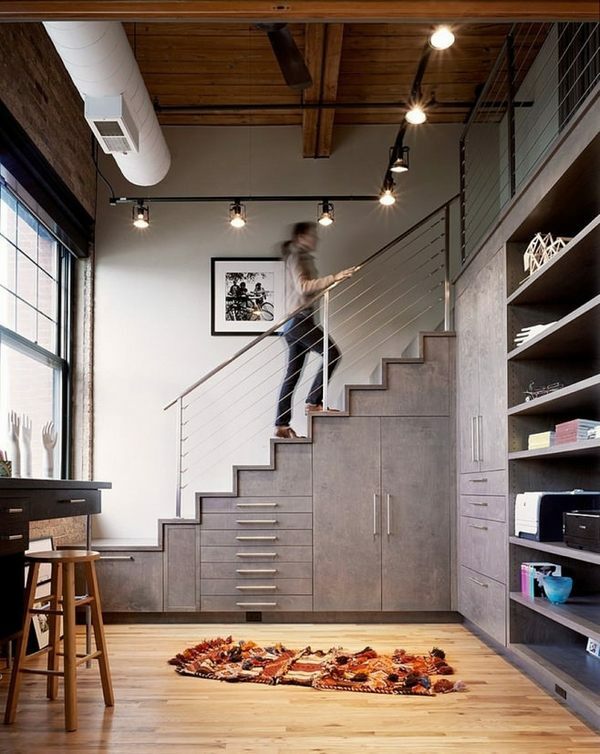 Interior staircases sometimes can take a lot of space and it requires some thinking and even an unusual approach to minimize the loss of useful space. 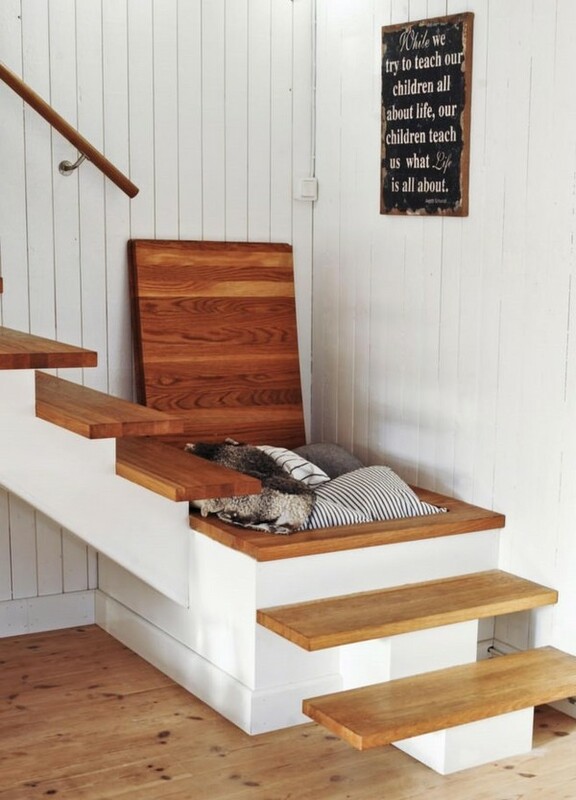 We will show you some super creative under stairs storage ideas and you will see how this space can become a part of the interior design. 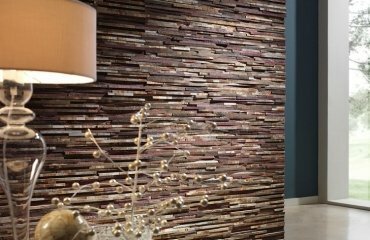 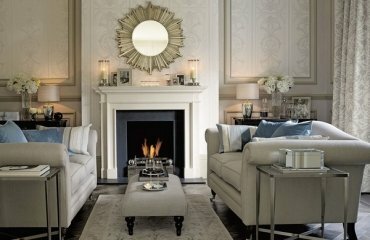 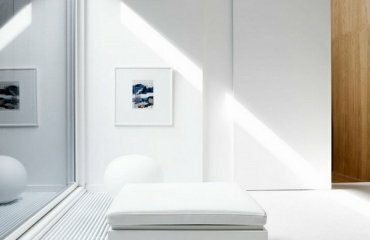 It does not matter whether you live in a traditional or modern house, a mountain cottage, or even in a penthouse or loft apartment. 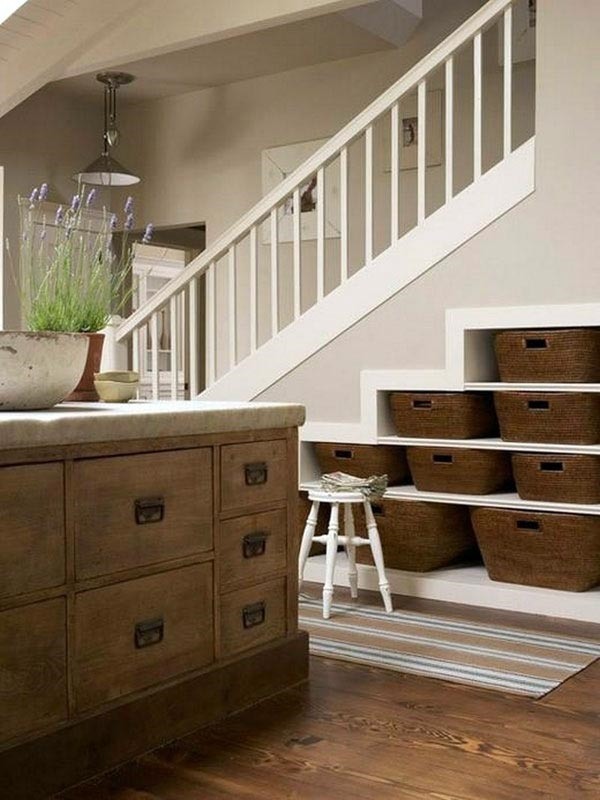 There are many elegant and creative under stairs storage ideas which will help you keep the house clean without much effort and use of space. 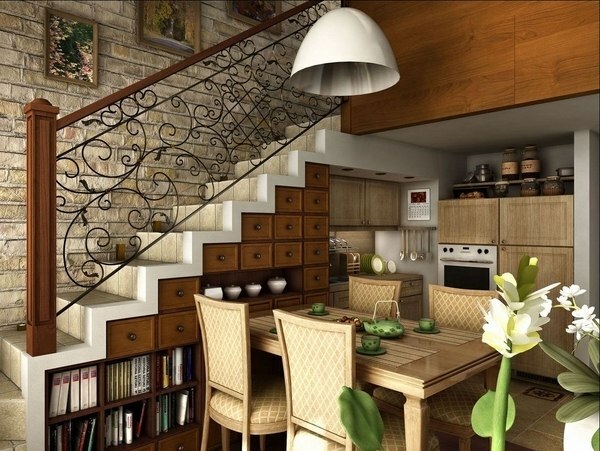 Most methods of arranging the space under the stairs are aimed at the rational use of all the available area of the house or apartment. 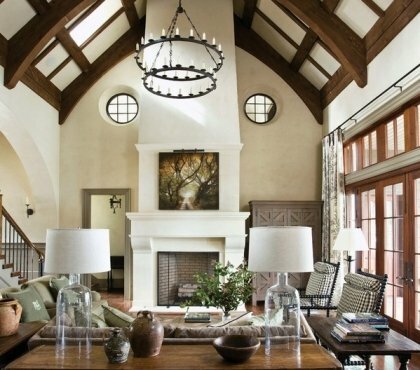 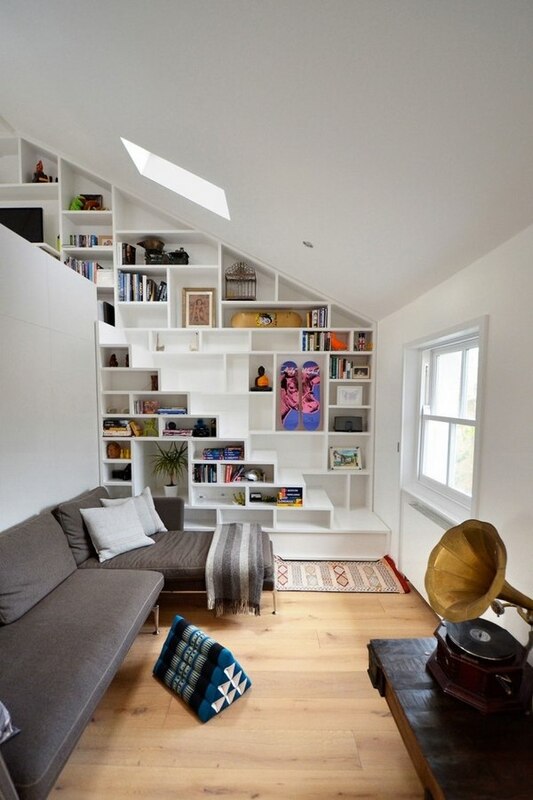 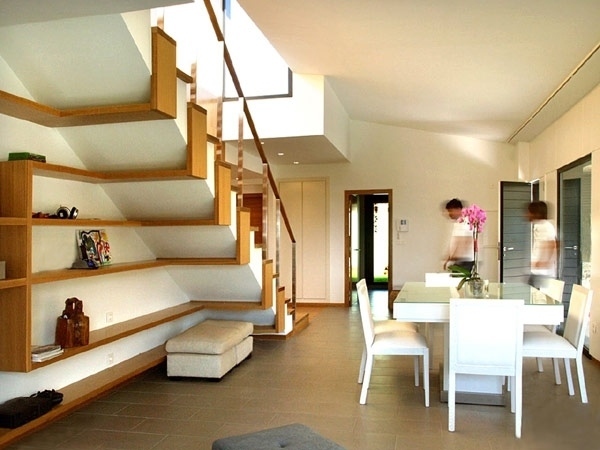 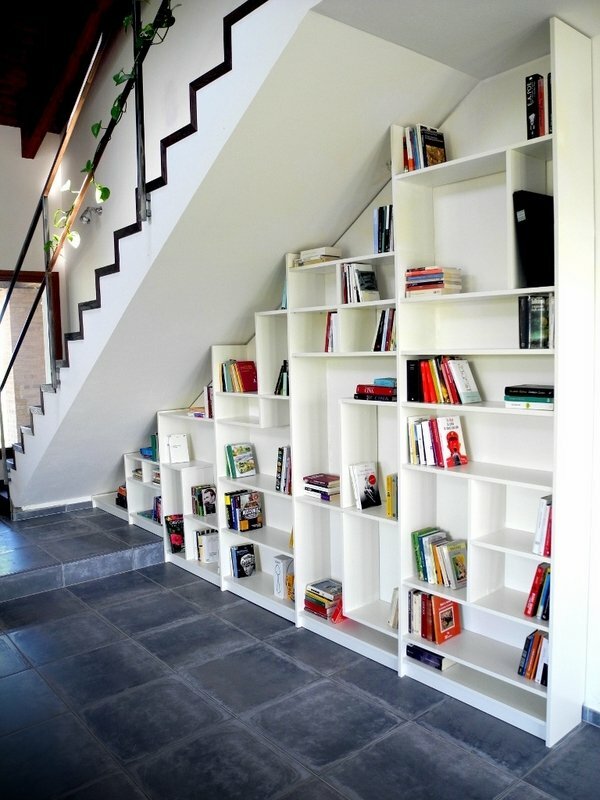 However, the arrangement of the space under the stairs requires an individual approach in every single case. 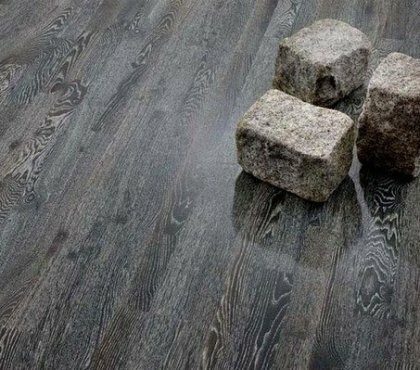 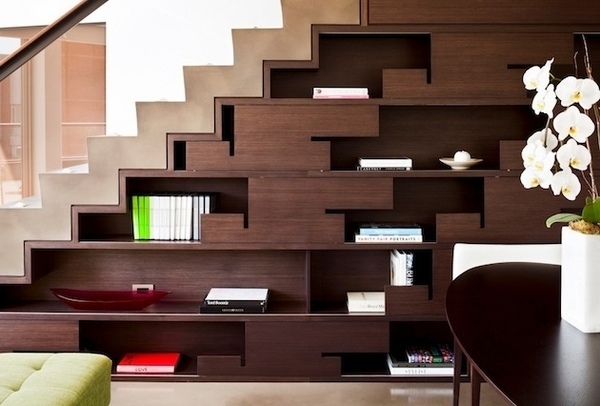 Furniture industry does not produce special items for under stairs space and most designs are custom made. 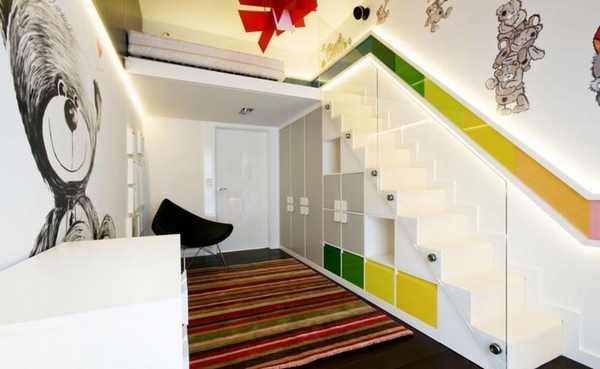 Creative under stairs storage ideas – what is the right design of functional storage furniture? 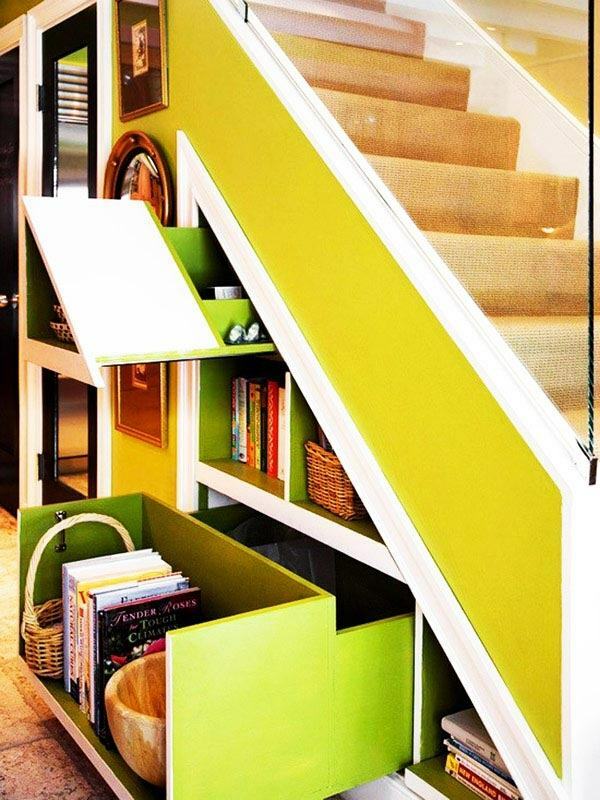 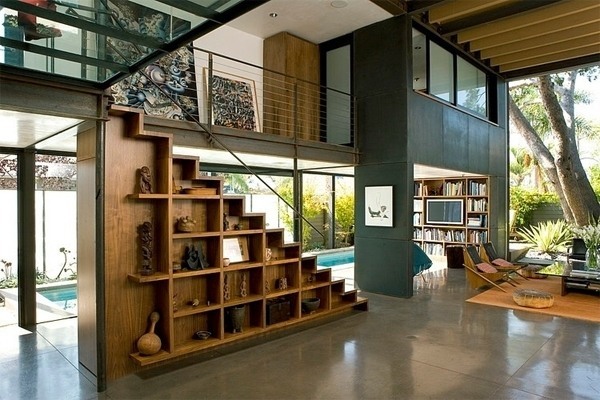 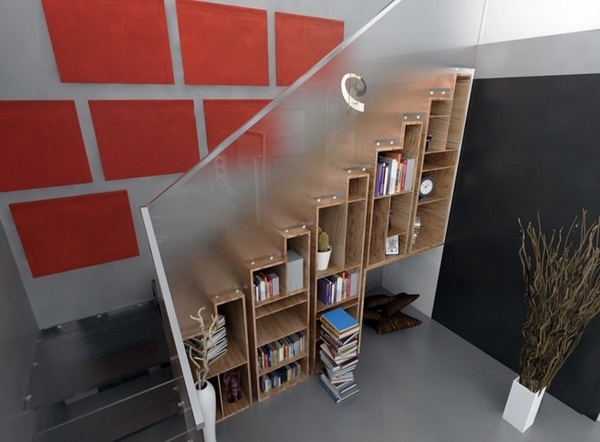 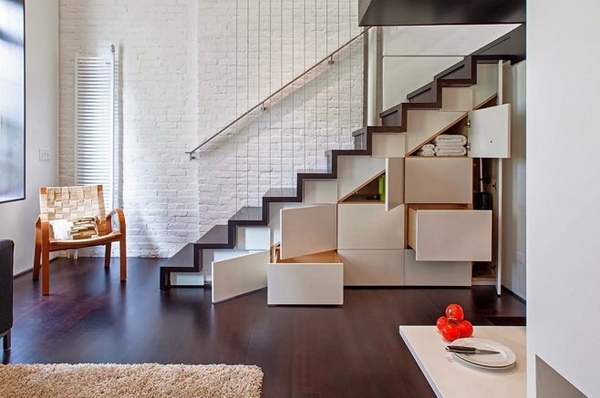 When we talk about creative under stairs storage ideas there is no such thing as “the right design”. 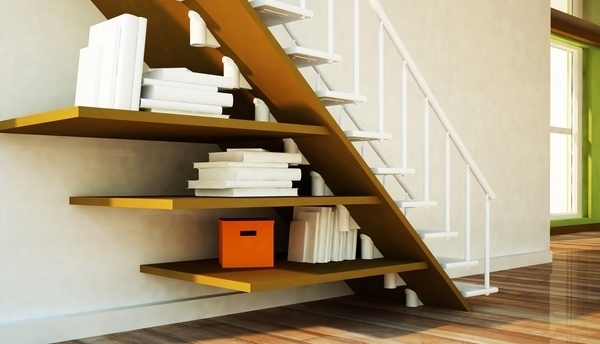 Interior staircases have so many different designs, styles and materials that there is not a formula to define the right type of storage organization. 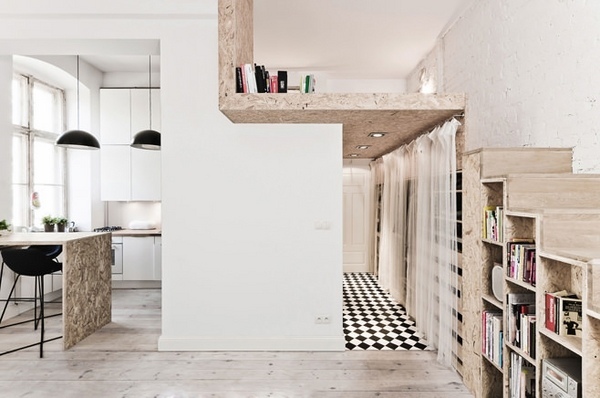 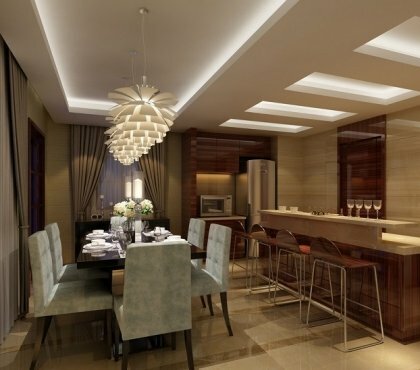 The space can be converted into a variety of built-in cabinets for storing of various items. 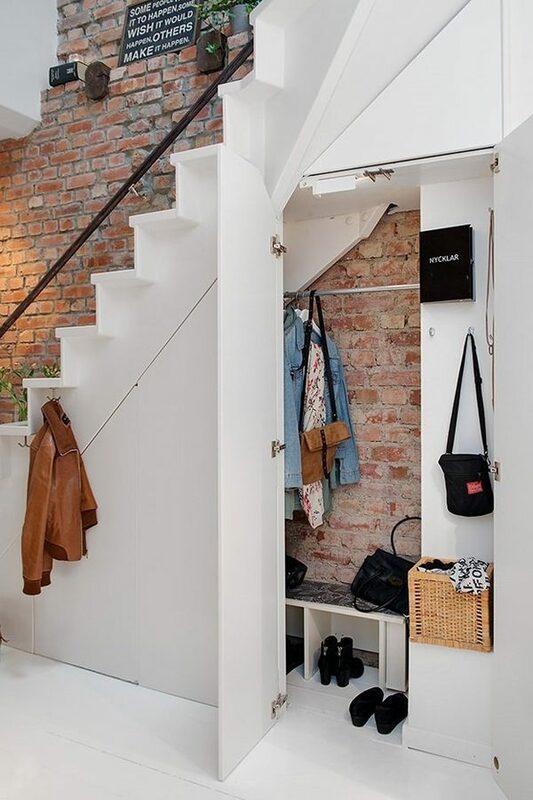 Closed cupboards are one of the most popular solutions and are particularly useful in the hallway for storing outdoor clothing, shoes, umbrellas, etc. 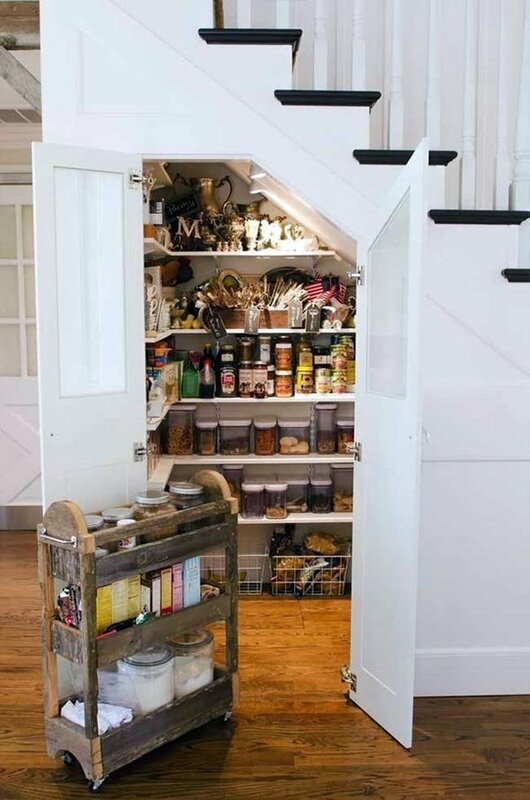 In kitchens the space under the stairs can be transformed into a pantry or open shelves, or you can have a number of drawers to keep various cutlery and smaller utensils. 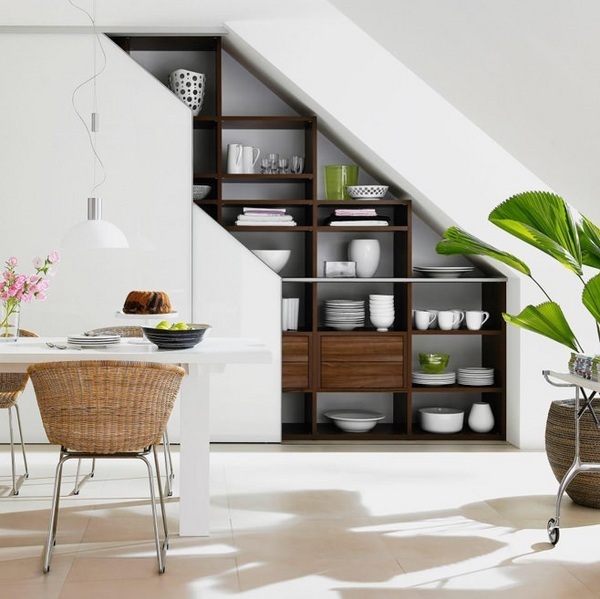 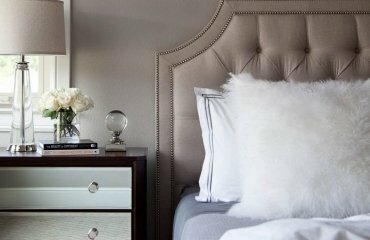 In living rooms and bedrooms shelves or cabinets under the stairs are the perfect place for books, and if you add some baskets you will be able to keep organized and the room will look tidy and inviting at any time.